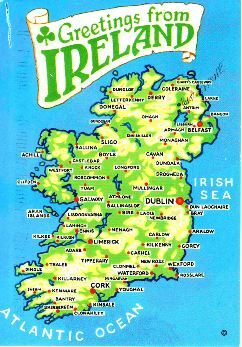 I, Clément Lanxat, a twelfth grade student, high school senior in Jean Renou High School, travelled to Ireland from the 8th of May to the 12th of May. On Tuesday, the eighth of May, 2018, the first day of our trip was the first time that I have flown to Ireland with the Aerlingus company. I was at the 3F seat with, as a neighbor, a person that everyone calls Ambre’s friend, but I know that her name is Victoria, a beautiful name for a beautiful young lady. She was discreet and silent. Unfortunately, the Koss Corporation, the inventor of headphones has made us mute and asocial. That’s the inconvenient for being born in the Twentieth Century. After two hours of flight, we arrived in Dublin on time, we waited for the bus in front of the airport to go to Dublin City Centre. At Jacobs Inn, the youth hostel, we unpacked our suitcases and bought something to drink at a vending machine besides our room because the airport was like a microwave for me. Arthur tried to cure his clogged ear due to the plane and it was the first time that we have encountered the Catalans. At eight pm, we went to O’Shea’s restaurant for dinner and that was the beginning of a long ritual which would become our evening routine. The food was really great. O’Shea’s restaurant, is the best restaurant I’ve ever eaten and the only one too. The second day was intensive and short, the first place we went to was the Dublin City Gallery, The Hugh Lane, a big museum of paintings, sculptures and a reproduction of Francis Bacon’s Studio. 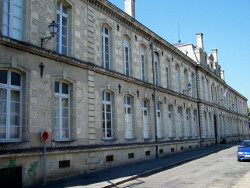 This museum was a sort of Museum, more a kind of archives divided in three parts ; the stained glass room, the Permanent Collection and the Sean Scully Gallery for the people like me who like Francis Bacon. 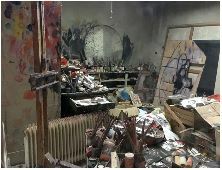 Francis Bacon’s Studio reminds me of my untidy bedroom, but when he comes to have a messy studio, he is cleary the world champion. I am a very organised sculptor but I don’t think we work on the same level. He is clearly more skilled than me. Yes, definitively. Hopefully for me, a video conference of Francis Bacon showed me that what is important in Art is not what you make. What is important in Art is that you express yourself when you produce your art. “Because my paintwork is the reflect of my life”, Francis Bacon said. After a quick lunch break, we visited the Dublin Writers Museum, a beautiful 18th century mansion which contains hundreds of years of Irish literary history. An overload of compact information that overflowed my memory. 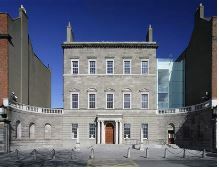 And the James Joyce Center who has done pretty the same things as the Dublin Writers Museum for me. I was exhausted after a poor night’s sleep and a very long walk under the rain. Ah, Ireland ! To End the day, we visited the EPIC Museum, a trip to Ireland History, very, very interesting, a must to do when you come to Ireland. A great way to understand the Irish state of mind, why they are open or close to certain subjects and the reasons that caused the civil war between the north and the south. The third day was a trip to Bellfast and a little stroll in the Irish country. We have penetrated a sheep farm to climb a tiny hill to have a great view on an ancient battlefield. 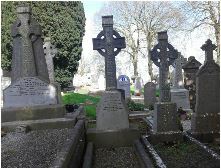 We also visited a cemetery with a lot of celtic cross. When finally, after a long trip in bus with our friendly Catholic Irish guide that we renamed “Michael”, we arrived in Bellfast, the British town of Protestantism. 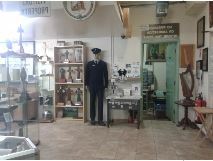 We looked at the wall of fame of the Irish Civil War and visited by the way a museum of what the prisoners made during the civil war in an ancient jail. We saw the place where the Titanic had been made and a small representation of it. 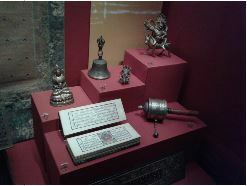 The fourth day, we went to the Chester Beatty Library in Castle Street where a collector who travelled the world and collected all those items he had found and he exposed them in a museum. 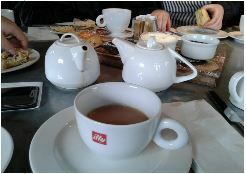 Then, we had a cream tea at 5.pm, a great way to encounter pure British tradition. And that was it for our nice trip in Ireland, it was great and unforgettable. Special thanks to Mr. Mercier and Mrs. Lescure to have been our chaperones, it was really great to have cool and nice teachers with us in a big trip like this. Another thanks to the high school head, Mr. Gorse, to have authorised the trip and a special thanks for the Regional Council to have subsidized a part of the funding of the Trip. I hope it was interesting for you, have a good day.